Rachel & Ben married at Frickley Lake, Ninfield. 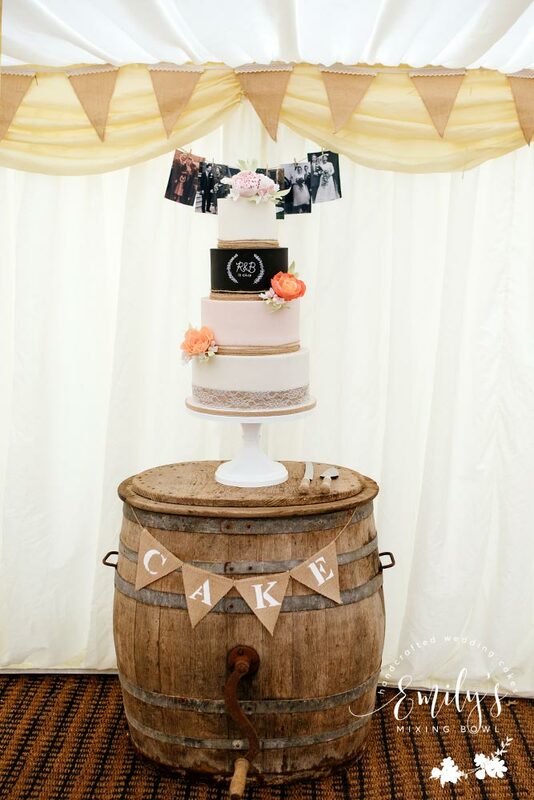 They had a lovely rustic wedding and wanted this chalk board style cake to match. 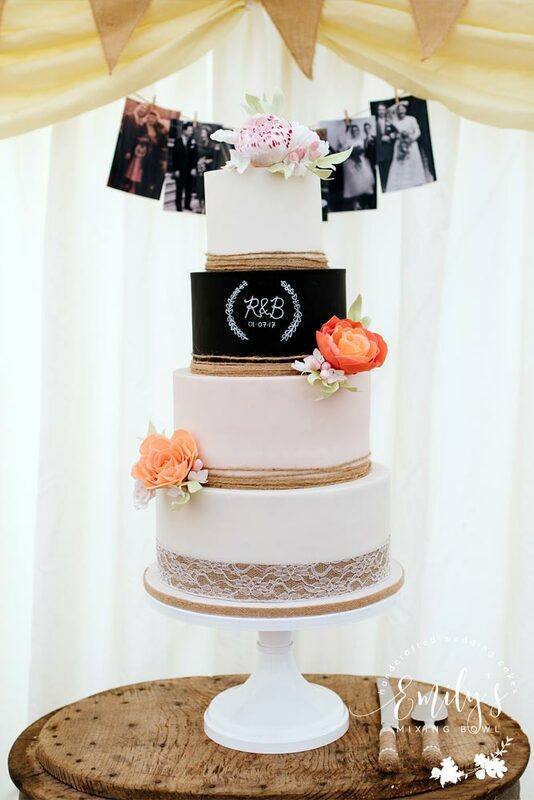 I wrapped the bottom of cake with hessian twine to give it that rustic look and personalised the blackboard with their initials. 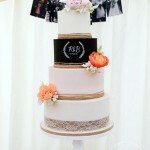 The cake was finished off with sugar flowers made to match the bridal flowers made by Kate Neech. 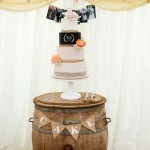 Thank you for Sarah Williams Photography for the images.